Target's grocery aisles, once dominated by processed, packaged foods, are seeing a big influx of healthy and organic fare. Here are the companies that could benefit from that major shift. NEW YORK ( The Street) -- Target's (TGT - Get Report) latest move to emphasize healthier and trendier food may hurt the bottom lines of processed food giants Campbell's Soup (CPB and Kraft (KRFT, but it could prove a windfall to companies hawking all-natural products. Take Hain Celestial (HAIN - Get Report), for example, which peddles its veggie and fruit drink line Blueprint in the refrigerated section at Target, and offers several of its other organic brands throughout the store. "I have never seen so much demand, so many retailers wanting to bring more and more natural organic products to their stores," boasted Hain Celestial CEO Irwin Simon on the company's May 6 earnings call. The likes of Hain Celestial and competitor WhiteWave Foods Company (WWAV with their portfolios of organic snacks, drinks and cereals, are helping to support the nation's desire to eat healthier. Jim Cramer's charitable trust Action Alerts PLUS is long both Target and WhiteWave. Click here for more. According to the Organic Trade Association, sales of organic food and nonfood products in the U.S. reached another record in 2014, totaling $39.1 billion, up 11.3% from the previous year. Organic foods are hovering around a record 5% share of the total food market. The outsized growth in natural foods is something Target, one of the 10 largest grocers in the country, wants to tap into to boost sales. The company's new leadership seems willing to risk damaging long-held relationships with major processed-food companies to make that happen. On Monday, a report from The Wall Street Journal (paywall) said several top Target suppliers, such as Campbell's Soup, Kraft, General Mills (GIS - Get Report) and Kellogg (K - Get Report), came away with some bad news when they met with the retailer earlier this year. Target said it will be putting less money into promoting their generally processed foods. For consumers, Target's new emphasis will mean more signs and coupons for natural food scattered about the store. And for the kings of processed food, it could lead to less premium shelf placement. The news comes about a month after Target disclosed that it hired Pet Smart (PETM executive Anne Dament to lead its grocery business. Dament previously held merchandising positions at grocer Safeway (SWY. But even before Dament landed at Target, new Chairman and CEO Brian Cornell, a former PepsiCo (PEP - Get Report) exec, was in the trenches repositioning the food business toward offering more organic products. Back in 2014, Target created a program called "Made to Matter." The partnership revolves around companies that agree to create "better for you" products exclusively for Target. After piloting products from 16 vendors in 2014, many of which sell organic food and all-natural cleaning products, the program will be expanded to 31 vendors this year. Target expects sales from the collaboration to reach $1 billion this year. TheStreet takes a look at three companies poised to benefit from Target's push to more closely resemble the aisles of Whole Foods (WFM. The drinkmaker is on a market-share gaining binge at Target this year. Target will be adding some 26,000 new points of distribution for Hain Celestial products this year. Points of distribution, referred to as PODs by Hain Celestial, are the number of slots on a shelf a retailer is given, multiplied by the retailer's store total. Particular winners for Hain Celestial this year include its Ella's Kitchen and Earth's Best organic baby food lines, organic oil and seed brand Spectrum, and natural tea line Celestial Seasonings. Last year, Hain saw more space given to new flavors of its BluePrint juice line at Target, pictured above. For Hain Celestial, its deeper penetration into Target this year, as well as into Wal-Mart (WMT - Get Report), marks the organic movement broadening out from the shelves of Whole Foods, Kroger (KR - Get Report) and Safeway where it began. Organic eating has become mainstream as prices have become more affordable. "I think what we're starting to see is we had the early adopters like Kroger and Publix, but we're starting to see a whole second tier of retailers say, look, this trend is for real," said Simon. He added, "It's key for us to attract millennials that we play in this area." There's more to Clorox (CLX - Get Report) than its assorted versions of stain-busting bleach and hand wipes. Burt's Bees, an all-natural personal care products business acquired by Clorox in 2007 for a lofty $925 million, has grabbed increasing amounts of shelf space within Target's cosmetics aisle over the past few years. That share is poised to increase as Clorox expands the Burt's Bees line, and runs its first rounds of TV marketing. 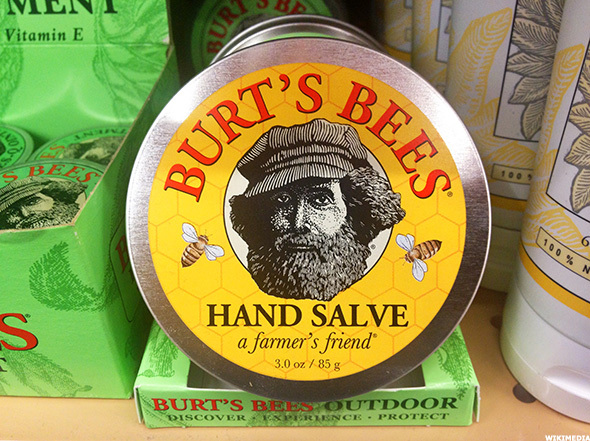 "There is an opportunity to take Burt's Bees into new consumer segments for those looking for an effective, yet natural solution," said CEO Benno Dorer in a May 6 interview. Burt's Bees lip balms are now available in a range of flavors such as vanilla bean and wild cherry. The brand has expanded into wrinkle cream and body lotions. In an email, a Clorox spokeswoman declined to discuss Burt's Bees' business at Target, aside from noting the business has been growing "strongly" this year. Clorox also sells its GreenWorks all-natural cleaning solutions line at Target. Household chemicals are likely to be a focus for Target execs once they get the food business squared away, which could benefit Clorox's GreenWorks business. What is an organic snack bar from Hain Celestial if it isn't washed down with filtered water in a plastic bottle? Enter Newell Rubbermaid (NWL - Get Report), which is trying to diversify beyond storage bins and food preservation containers. In October 2014, the company purchased water hydration and thermal bottle businesses Contigo and Bubba, whose products are sold at both Target and Wal-Mart. 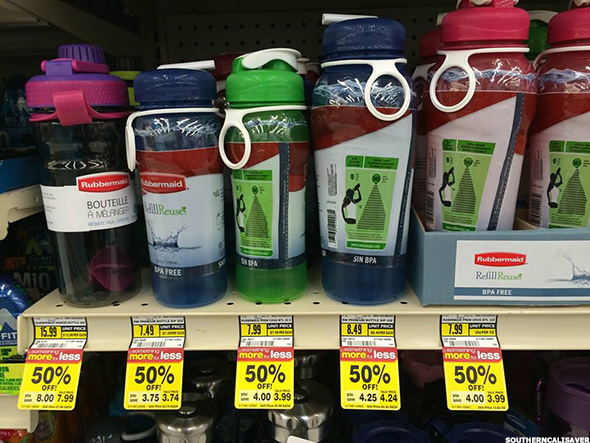 The bottles typically sell at premium prices compared to Newell Rubbermaid's traditional water bottles, pictured above. "These brands are right on track from a social perspective and a lifestyle perspective," said Newell Rubbermaid President and CEO Michael Polk in a May 5 interview. According to the latest available research from The Freedonia Group, U.S. demand for plastic containers is forecast to increase 4.9% annually to reach $32.4 billion in 2016, consuming 14.2 billion pounds of resin.